Description: Sierra Pacific Crafts Wood is full of everyday things ready for personalization. You can paint, stamp, glue, distress, or even leave the wood the way it is. Rounds 3.5 in. Natural 10 pc- Round tree limb slices with natural bark edges. 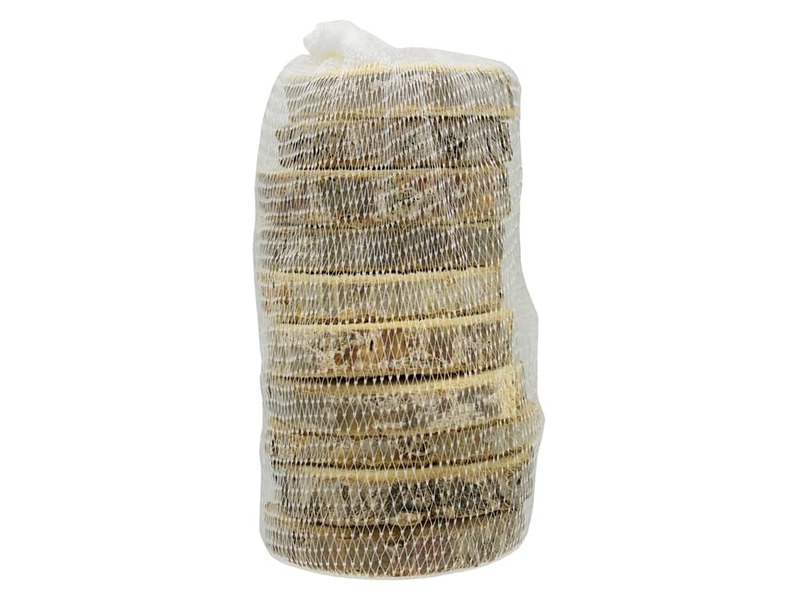 Sizes vary with each bag, average diameter is approximately 3.5 in., and about .63 in. thick.